Ladies Dance Shoes – Brand new dance shoes should be firm but NOT painful. Dance shoes should be fitted so that they are firm “like a glove” on your foot. Your toes should be flush with the end of the shoe, you do not need a ‘thumbs-width’ length between your toes and the end of the shoe. Your heel should be firmly up against the back of the shoe. All dance shoes will stretch slightly with wear. If your foot slides down away from the back of the shoe, this means that the toe straps or ankle straps are too loose or the shoe is too big. If your toes are flush with the end of the shoe, but your heel is not firmly against the back of the shoe, try using a soft gel innersole under the ball of the foot. This serves to add volume around your foot, gives you a firmer and more comfortable fit, as well as stopping your foot from sliding down in the shoe. Dance shoes should not move on your foot when you dance. Incorrectly fitted dance shoes (usually too big), cause your foot to move around in the shoe when you dance, causing rubbing and can lead to blisters. Dance Sneakers – Are usually worn with thin ankle socks and are a size bigger than your normal dance heels. This allows room for your foot to fit inside the shoe without your toes touching the top of the shoe or squashing your toes inside the shoe during dance movements. Please find below the shoe sizing chart the we have been supplied from PortDance. 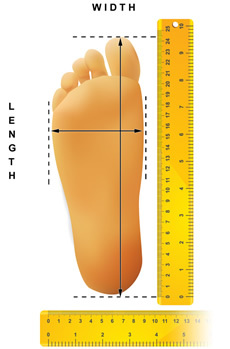 NOTE: – All shoe sizes are an indication only of the manufacturers sizing chart and measured in centimeters. You are ultimately responsible for sizing your own foot and ordering the appropriate size for your needs. Grouchy Me Planet takes no responsibility for you ordering the incorrect shoe size. We provide you with the sizing chart from each supplier and take no responsibility should that sizing chart be incorrect.